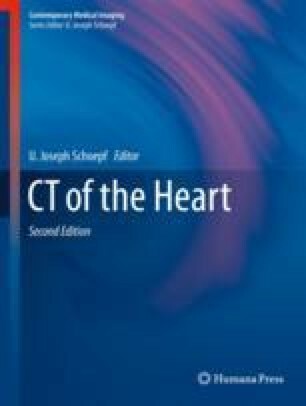 Advancements in CT imaging of cardiovascular pathology have been instrumental in ensuring accurate diagnosis and appropriate management of complex cardiovascular diseases. Among these advances, the development of 3D printed models of cardiovascular disease has enabled rapid communication of cardiovascular pathology and unparalleled opportunities for planning surgical and interventional procedures by allowing direct manipulation with real-time haptic feedback. Procedures previously planned using a limited two-dimensional screen can now be prepared using 3D printed models, allowing for tailored execution, possibly incorporating personalized medical devices developed through computer-aided design and manufactured with 3D printing. Such technology has been applied to a spectrum of cardiovascular pathology which includes congenital, structural, and valvular heart disease. This chapter provides an overview of concepts in 3D printing and summarizes a typical 3D printing workflow, from image acquisition to anatomic model fabrication. A practical example of this workflow is demonstrated using commercially available software. Several selected cardiovascular applications, the current status of 3D printing, and future perspectives are discussed. Giannopoulos AA*, Chepelev L*, Sheikh A, Wang A, Dang W, Akyuz E, Hong C, Wake N, Pietila P, Dydynski PB, Mitsouras D, Rybicki FJ. (*Both authors contributed equally.) 3D printed ventricular septal defect patch: a primer for the 2015 Radiological Society of North America (RSNA) hands-on course in 3D printing. 3D Print Med. 2015;1:3. https://doi.org/10.1186/s41205-015-0002-4.